WHAT HAPPENED to Director Ted Boborol? He did a fairly good job in coming up with well made, endearing romcoms in his first two movies, “Just the Way You Are” and “Vince, Kath & James”. But something went wrong somewhere in his third work, “Finally Found Someone”. 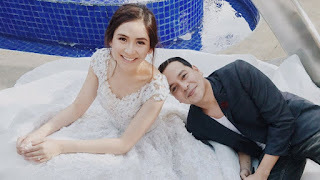 Sarah Geronimo and John Lloyd Cruz are the movie’s saving grace but even their super powers are not sufficient to redeem the movie from its inadequacies. Their love team no doubt has its own loyal followers after their first three films where their characters, Laida and Miggy, are both so endearing. Now, they are given new characters to play and a new storyline. We waited for four years before they were paired again and it seems it’s not worth the long wait, after all. You can feel the movie will be a disappointment right at the start. 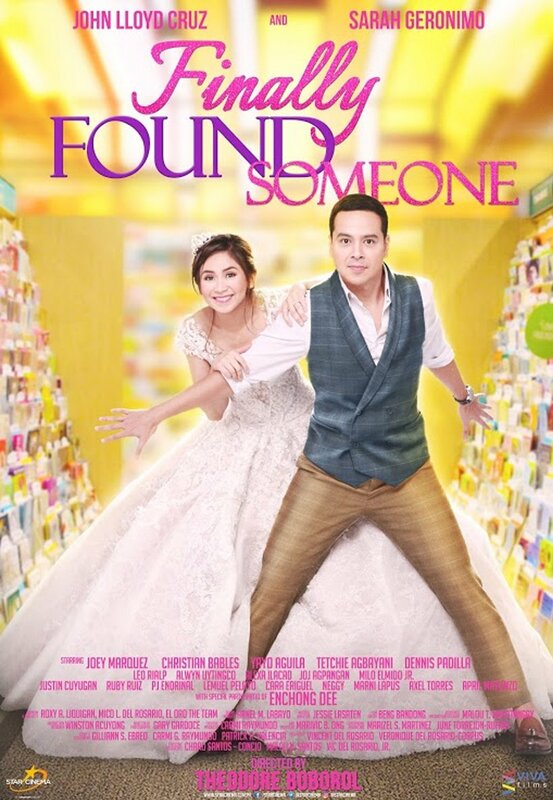 Sarah is a preschool teacher, Aprilyn, who is abandoned at the altar by her runaway groom on their very wedding day. Instead of the audience rooting for Sarah, we’re completely turned off because she’s turned into an idiotic buffoon doing the craziest, most embarrasing things. We don’t think any bride would behave the way she did: forcing her bridal car driver to take her to her groom’s condo, then the car breaks down and she is asked to push the car, then she takes a tricycle instead, tries to enter her groom’s house through fire escape after she is carried out of the elevator. She was made to do many other ridiculous things after this, totally demeaning herself and never earning the audience’s sympathy. And all throughout, people who see her acting like a clown make a video recording of her imbecilic shenanigans on their cellphones, that all became viral. This is akin to what they did to Kathryn Bernardo in “Can’t Help Falling in Love”, where she was made to act like a fool in so many scenes while trying to get her marriage annulled. In the desperation of the filmmakers in wanting to come up with a real crowd pleaser and make the audience laugh, what they accomplished instead is making their lead character look like a total nincompoop. The humor is so trying hard and so forcing through. It is a big mistake from which the movie never recovered, no matter how hard Sarah and JLC tried to save it with their very winning personas. Maybe they should have just gotten Cathy Molina again to direct this reunion movie because she did great in coming up with commercial but still palatable romcoms in the first three films of Sarah and JLC. JLC as Raffy plays a PR expert who is hired by the father of the groom, an obnoxious mayor (Dennis Padilla), to do damage control for his son whose reputation is ruined when he’s supposed to be running for public office in the next election. JLC then befriends Sarah with the intention of helping her move on. It is a no-brainer to predict that they will eventually fall in love with each other. This can be seen easily in the usual pa-cute scenes, where they play a game called 2 truths and a lie, flirt with each other and try to spray flour on one another while JLC helps Sarah bake her cookies. They are also shown chasing each other to put cake icing on their faces. After three films together, they should be beyond doing these old and worn out scenes by now that are more suited to the likes of Joshua Garcia and Julia Barretto. With JLC and Sarah, these hackneyed scenes are more of an insult to the intelligence of their loyal followers. But as usual, JLC excels even if he’s asked to do preposterous scenes like that “lungkot-kembot” scene which is inspired by Sarah’s sun dance in their previous films. JLC shines even more in his dramatic moments, weeping effortlessly in that scene with his mom (Tetchie Agbayani) who has Alzheimer’s: “Pagod na ako. Pagod na pagod na ako.” And we ourselves are so tired watching the movie, especially after watching free plugs of products they endorse, including a brand of cellphone. Sarah herself remains lovable despite her annoying character. We truly believe that she has what it takes to be a good dramatic actress, like other singers before her who later branched out into acting such as Nora Aunor, Sharon Cuneta and Zsa Zsa Padilla. But the problem is that, like Regine Velasquez (another singer who has great acting potential), she has never been given any meaty film that will put her acting chops to effective use. At 29, it’s about time she shows that she has really grown up as an actress. One more thing, we felt sad for Christian Bables after watching him in this movie. After his acclaimed, award-winning performance in “Die Beautiful”, he played a nondescript role as JLC’s apprentice. Honestly, it didn’t require him to do anything remarkable and only negated the gains he made in his career with “Die Beautiful”. It would have been better for him if he were assigned the role of the runaway groom, which was given to Enchong Dee who is wasted in a guest role.